I was in Whole foods the other day and spotted these adorable looking mushrooms and had to try them, I go to too many grocery stores and get tempted! My friend said would be good in soup, what a great idea, along with zucchini from a another friends garden it made a perfect mid afternoon snack. These little baby mushrooms are a good source of Iron and Copper, and a very good source of Dietary Fiber, Thiamin, Riboflavin, Niacin, Folate, Pantothenic Acid, Phosphorus and Potassium. Cute little nutritional power houses! I got this wonderful pasta in Earth Fare, its the coolest shape, literally translated its called cockscomb like the red fleshy crest on Chickens heads. I made this for my friend and her little girl, she kindly comes over most Wednesdays to watch Jasmine as I do the blog talk radio show I cook for us all and then we all enjoy a meal together. 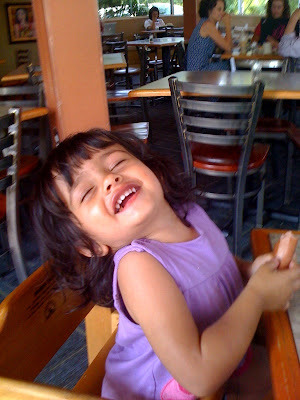 Its fun and I adore watching her little girl enjoy Auntie Rebecca's cooking. Hi all just wanted to tell you all about a new project I am involved with triadguide.com I live in Winston Salem North Carolina and the Piedmont Triad is the area surrounding and including the three cities: Winston Salem, High Point and Greensboro, hence the name. 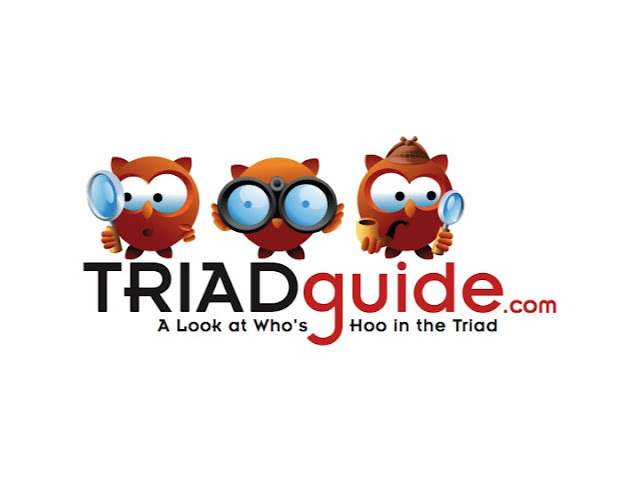 The site aims to be the local go to for events, business listings and blogs and community happenings. I met the owner of the site Neil through twitter and he is lovely and also attends my church so has to be nice right! I have been blogging for the site about local restaurants and events I like and roping local friends and bloggers in! Also interviewing local businesses and charities doing great work for the community. I have also set them up a Blog Talk Radio as well and I am the Host :-) so the last couple of weeks has been very busy. I have interviewed Liz from Dovecote Decor a local interior design company and online furniture store, tomorrow Sandra who has a prodigal and prison ministry and then Monday Laura from the Ronald Macdonald House! This is a South Indian classic, I posted a version a while back with boiled eggs added, but this is the village method and my favorite poaching the eggs in the curry. I made this for hubby the other day as his Mum had left and I felt bad that he needed spicy foods. Our daughter still isn't convinced by spice yet! I saw this yummy Nigerian street food on Ozoz's fabulous blog Kitchen Butterfly and I asked If I could add to Chow and Chatter just in case you are not already reading her wonderful blog. She is Nigerian a Mum and living in the Netherlands, she is super creative in the kitchen and takes amazing pictures, be sure to follow along! When my 7 year old daughter talks about Nigeria and going back, one of the things on the top of her list is Suya. 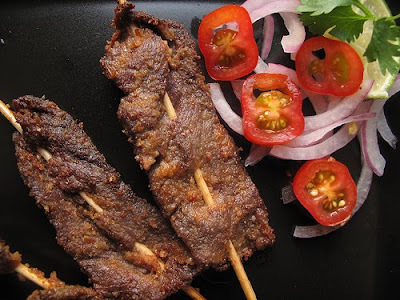 My 4 year old doesn’t remember the absolutely delicious bits of spiced beef on sticks, cooked over hot coals by specialists – men from the northern part of Nigeria, where this is their trademark. 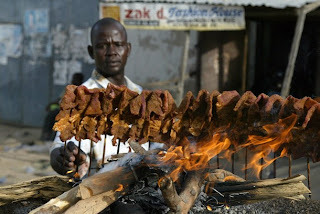 Suya is one of those things which Nigerians in diaspora miss, just like the Dutch yearn for dropjes and stroopwaffels! And if you dig further, you’ll find most people have jars of suya spice in their pantries. I got my mum to bring me a small sack of the stuff which is stashed in the deep freezer! Though the experts are from the North you’ll find them all over the country. Usually every area in a town will have a ‘suya spot’, with its ‘Malam’, a name for the owner or controller of the joint. All day, every day, you’ll see the suya spots rife with activity from early morning till dusk, when orange trails blaze the skies with the setting of the sun. The early hours of the day are spent prepping the meat – beef from cows that have trekked from one end of Nigeria to the other, eating lush green grass along roadsides, drinking cool, refreshing waters from streams running north, south, east and west – talk about free-range cattle. These cows serve up the tastiest beef you ever ate (save for Argentina perhaps) , not to mention being organic . The beef is sorted into groups – soft, tender cuts, chewy, hardier portions with fat, bony bits and more. Some chickens also join the fray, winged, giblets and gizzards. When preparations are all done, the meat is marinated in a dry rub of nuts and spices – toasted peanuts (we call them groundnuts), chili powder, ground ginger and salt form the basic spices but as you can imagine, each malam has his special blend, with special proportions and secret ingredients. Other add-ins might be garlic powder, onion powder, spice cubes and paprika. Then, the meat is threaded onto stick, large pieces cut across the grain. Sometimes, I am reminded of birds and flapping wings as the flat beef pieces dangle from side to side.About 4 pm, the Malams and their boys set up shop by the roadside, fanning the flame of glowing coals, while turning the meat on sticks gently. As customers troop to purchase suya by the stick, the boys load the stands with more stock. People ask for the type of meat they want, pick and choose specific sticks and then opts to eat it off the stick or have it stripped off the sticks and wrapped up in newspaper to take home. Both options are served with sliced tomatoes, red onions and chili pepper. All fresh. In a blender or food processor, grind the peanuts till they are crushed. The ground nuts will stick to the sides of the mixing container, so using a spatula, loosen bits from the bottom and round the sides. Then add oil, drizzling in along with a pinch of salt, blending till you get your required consistency. I wanted a loose butter so I added more oil, till it reached a ‘thick cream’ consistency. Adjust the spices to suit your taste, my measurements are just guides. Make the peanut paste by combining peanut butter, chili pepper, salt, ground ginger and lime. Adjust to taste and place beef slices in a large bowl . Pour peanut sauce over it, then using your hands, mix well ensuring the pieces of beef are coated with the sauce. Leave to marinate for a few hours or overnight. I wanted to compare the taste of the suya using the peanut sauce versus the original suya spice (dry rub) and so I made two batches (and ended up with 2 dozen sticks, which are almost all gone! )When ready to cook, thread them unto (soaked wooden) skewers, accordion style so the meat is stretched out, not bunched up. You can grill them in a pan, the oven or on the barbeque. I’ve done all of the above but the most authentic method of course, is over the fire. Now how amazing do they look! Ginger Pork with a Scottish Twist! I made ginger pork a couple of days ago and I found out I didn't have any sake so I used a Single Malt! since some folks think I add Scotch to pancakes why not add to pork! The funny thing is I added one of hubby's most expensive ones and boy did it taste good! Fun Cartoon: Gopher Getting His Veggies! This is to make us all smile, at least its easy for us to go to the farmers market, store or grow our own fruit and veg! Hope everyone is having a fun weekend. I needed a little pick me up the other afternoon and didn't have the ingredients to make a cake, so I settled on dropped scones or Scotch Pancakes. They are basically little pancakes made with a thick and fluffy batter, great with afternoon tea! I adore this recipe, simple to make and loaded with flavors of summer. You first roast the eggplant with garlic in the oven to produce a lovely smokey flavor then mix with goats cheese, vegetables and pasta. It is with great pleasure to introduce you all to Victoria from Mission Food: A Foodies Gastronomic Adventures, she has a wonderful blog and lovely chatty personality she even kindly called in to my radio show on tea and cake!, she is attending culinary school and can wow you with her knowledge. 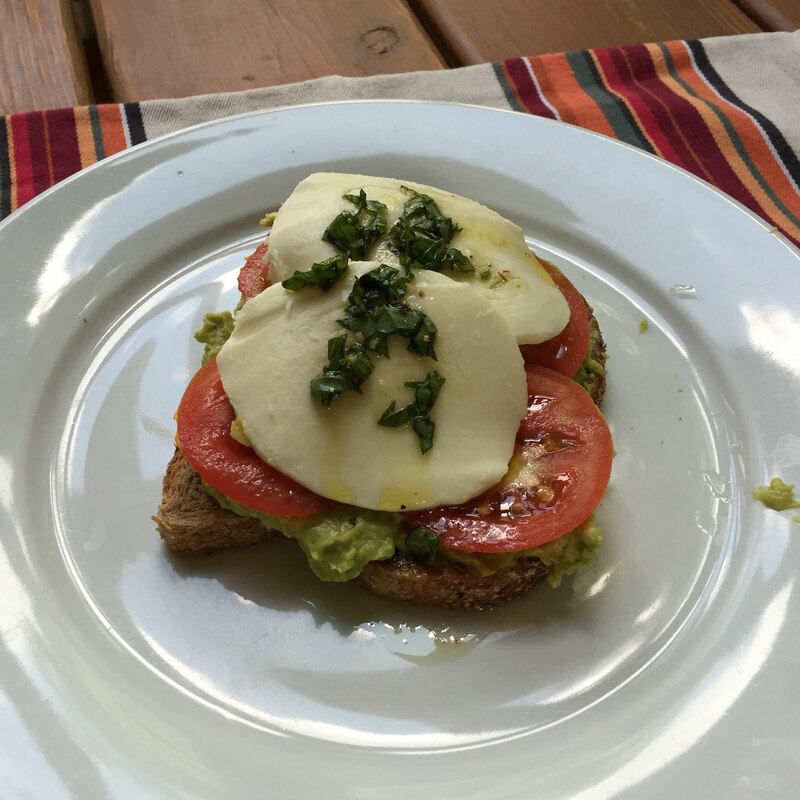 This recipe is the perfect lunch or brunch I am hungry just adding this post, enjoy! I was so excited when Rebecca asked me to guest post on her blog. Unfortunately it took me a little while to get my act together, haha. 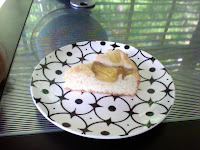 I finally came up with the perfect recipe to share on her blog. I love croque monsieur sandwiches and have even made them myself in the past . If you’re not familiar with French bistro cuisine, a croque monsieur is basically a grilled ham and Gruyere cheese sandwich with Dijon mustard, and often topped with Bechamel sauce, more cheese and then broiled. Adding a fried egg on top makes it a croque madame! I decided to take this sandwich concept and turn it into a breakfast dish, mimicking one of my favorites, Eggs Benedict. I call my creation Croque Benedict, and it’s not unlike its predecessor, but boasts a Dijon-spiked Mornay sauce instead of the traditional Hollandaise. Although the sauce is cheesy, it’s decidedly lighter than a heart-blocking Hollandaise. For the sauce, melt butter in a saucepan over medium heat. Add flour and whisk, cooking for a few minutes until the roux begins to turn a lightly golden hue. Carefully whisk in the milk a little at a time. Keep whisking or else you will have lumpy sauce. Once the milk is incorporated, season with salt, white pepper, and nutmeg, and cook a few minutes longer, whisking often to make sure it doesn't burn or get lumpy. Add the Gruyere cheese and the Dijon mustard and whisk until completely melted and smooth. The sauce should be nice and thick. Keep sauce on low heat, whisking occasionally, until ready to use. Meanwhile, toast the English muffins and lightly butter them. Top with folded up ham slices and keep warm in a 200ºF oven until ready to assemble. Crack the eggs into individual small bowls or cups. Fill a wide, shallow pot several inches deep with water. Add the vinegar or lemon juice and place the pot over high heat until it begins to simmer, 160 to 180ºF. Lower the heat slightly to maintain this temperature, and so the water doesn’t begin to boil. Carefully slip each egg into the gently simmering water by slightly submerging the lip of the cup or bowl into the water and carefully pouring the egg into the hot water. With a spoon, gently nudge the egg whites closer to their yolks. Poach eggs for about 3 minutes, using your finger to lightly press the yolk to check for firmness. Remove from water with a slotted spoon when cooked to your liking. Keep track of which egg went into the water first and remove in the same order. Drain well before serving. You can put the eggs on paper towels to blot off before serving. Place a poached egg atop each ham-topped English muffin half and spoon Dijon Mornay over it. Serve immediately. I know I need to eat more of it! after a few minutes add the uncooked rice and stir, then add the beans, and 2 1/2 cups of chicken stock, cover the pan and simmer until the rice is cooked about 15-20 minutes. Enjoy its great with egg! Has anyone got any other recipes with brown rice to share? I saw the following recipe on Madeline's Adaptations ramblings and recipes, a fun food blog based in Canada, I love tweeting with her as her parents are British he he and she cooks so well. I am excited about the project and really want to make something from my blog and its recipes, and I thought a recipe app would be cool. I hope you all agree and check it out when its launched. Love you all and again your comments and friendships mean the world to me. The last picture is Jasmine eating her first hot dog as you can see she liked it, my vegetarian mum in law wasn't so excited by her reaction but we all got a laugh out of it! This was indeed a simple and super tasty recipe, and the chicken was wonderfully soft. then add the chicken stock, tomatoes and chicken thighs, herbs and simmer for 30-40 minutes. Its wonderful served with pasta, gnocchi and rice, well I would say almost anything! This is a wonderfully simple way to serve mahi mahi, I marinated in Peri Peri (an African spice blend) and served over cous cous with mixed vegetables. Also I just wanted to say Peri Peri Mahi Mahi! Peri Peri is a popular South African seasoning in fact there is a restaurant chain in the UK called nandos that marinates chicken in it and grills it very tasty. Today is a perfect day to feature the recipe as my guest on Chow and Chatter Blog Talk radio Maye Musk is from South Africa and has the coolest accent! mix the Peri Peri with olive oil and marinate the fish in it for 2 hours, be careful gets very spicy if you use a lot! A great and easy meal for busy evenings, that packs a punch. It is with great pleasure to introduce you all to Stephanie she is a wine expert and great cook, and has kindly offered to share a recipe from a cookbook, of which the proceeds go to charity. Be sure to check her blog, she has fun entertaining and has a strong sense of family and this is a five star recipe, enjoy! As a fan of Chow and Chatter, I was honored when Rebecca asked me to do a guest post for her fabulous blog. Allow me to introduce myself, my name is Stephanie Miskew and I am a passionate Home Chef and Certified Specialist of Wine. I started my blog, Stephanie Savors the Moment, almost one year ago to chronicle my adventures cooking all 250 recipes in the Junior League of Boca Raton’s James Beard Award-winning cookbook, Savor the Moment. This year marks the 10th anniversary of its publication and, as a cookbook committee member for 5 years, I thought it would be a great way to commemorate the book and the wonderful women who created it - plus I apparently had a burning desire to gain 10 pounds! Pairing food and wine is a passion of mine and I include wine pairings with each dish as well as helpful preparation tips and entertaining advice. After completing 100+ recipes so far, I am happy to share with you one of my favorites, the Roasted Sea Bass in Prosciutto. It’s elegant, easy to make and delicious which, I am delighted to report, characterizes most of the recipes in the book! If you are “wine-minded” I highly recommend the 2007 Masi Masianco to accompany it. This light to medium-bodied white wine is a blend of Pinot Grigio and Verduzzo from the Friuli region of Italy. Its alluring richness and flavors of lemon cream, peaches and white pepper complement the fish beautifully. This is a great food and wine pairing to enjoy over the Summer. 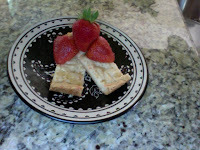 If you are interested in more delicious recipes from Savor the Moment, please stop by and visit. All proceeds from cookbook sales go to support the Junior League of Boca Raton’s local community projects. Big thanks to Rebecca for this opportunity and it’s been a pleasure sharing this recipe with you. I hope you enjoy it – Cheers! Combine the butter, rosemary, thyme, lemon zest, salt and pepper in a small nonreactive bowl and mix well. Arrange the fish on a foil-lined baking sheet. Sprinkle with the lemon juice and spread with the butter mixture. Arrange the prosciutto over the fish, covering the tops and sides. Roast at 450 degrees on the middle oven rack for 15 minutes or until the fish is opaque and flakes easily with a fork. Remove to a serving platter and garnish with the shaved Parmesan cheese and rosemary sprigs. Also be sure to tune into the radio show on wednesday I am interviewing the most talented Maye Musk, a Registered dietitian, Model and superstar! I have been making bread with Healthy bread in five minutes a day, but unfortunately my hubby doesn't like it and I really didn't want to give up on bread making. So I searched the web and settled on Steamy Kitchens method, and slightly adapted it. It seemed straight forward and I can happily report, I have now made a simple bread from scratch and kneaded it. So much softer than the no knead method and really not as hard as I thought! 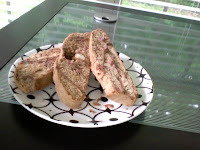 9. enjoy a wonderful soft French Baguette at home!! I made these Madeleines last week, I added orange juice and cocoa as one of my favorite chocolates is Terry's Chocolate orange so I thought it would make a cool version of a Madeleine. They turned out really well lovely and moist and didn't last long :-), thats why I don't bake all the time to practice portion control! What's your favorite candy bar and have you ever made a cake to copy it? whip the eggs with sugar and salt then slowly add the sifted flour and baking powder, lemon and vanilla essence and orange juice . Help yourself everyone and have a wonderful weekend, I hope it cools down a little here, I really need to be a morning person and get up early to enjoy walking without melting! Jasmine and I are going to a local pow wow (Native American get together) with friends should be fun love the clothes, dancing and jewelry. Hope they have food, but everything involves food with me! Thai Inspired Noodles and Winners!